These babies were too hard to resist! Besides making the Tempura Soft Shell Crabs for the Japanese potluck I had at my place a few weeks back, I also made these delicious Kaki Fry (Deep Fried Panko Oysters) and Chawanmushi (Japanese Steamed Egg Custard) too. Kaki Fry is one of my favourite things to order at Japanese restaurants. When it's good, it's REALLY good. I must say that I've been scorned by many horrendous ones in the past with thick/cakey batter and stinky oysters. Although, my love (and stubbornness) for them has always gotten the better of me and I end up ordering them time and time again. As is the case for Tempura Soft Shell Crabs. Hence, the reason for finally making them at home. These Kaki Fry in particular were great and turned out better than expected. Huge hit at the party. Making the Japanese Tartare sauce is extra work but worth the effort. If you're pushed for time, serving them with Kewpie Jap Mayo is great as well. 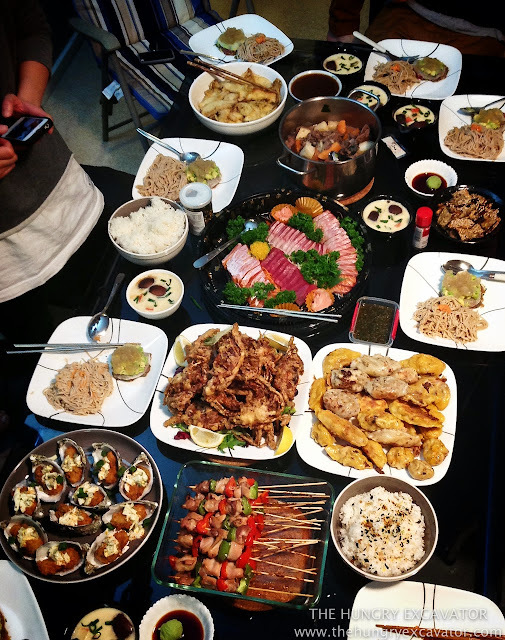 Potluck spread. Well done, all! 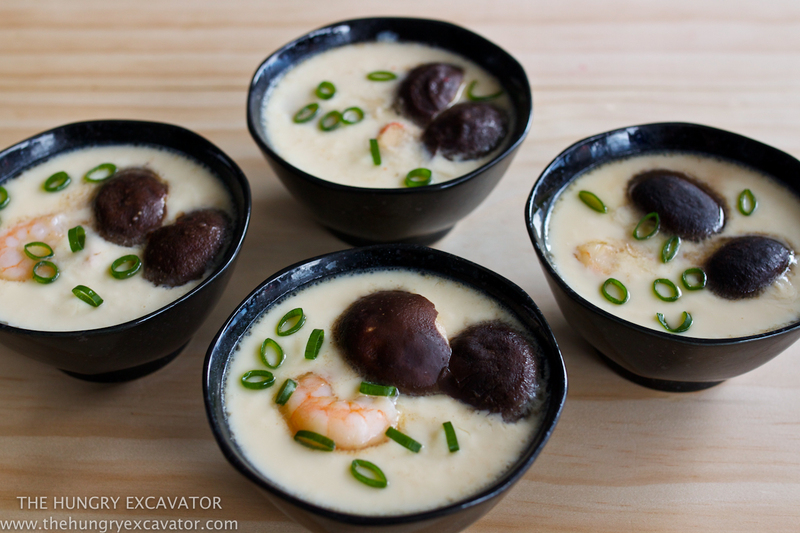 As for the Chawanmushi, they turned out really good too. Everyone has their preferences, but I think a good Chawanmushi is smooth in texture, so thin that it almost melts in your mouth with a good dashi stock base and lots of ingredients inside. Happy to say that this was all of that and much easier to make at home than expected! I go even further to say that they're better than the ones you get in many Japanese restaurants. Dashi, a generic term used for "stock" in Japanese cooking is typically made with dried kelp and bonito flakes. Sometimes, with dried anchovies too. The dashi powder I used was delicious and I recommend it for your cooking. 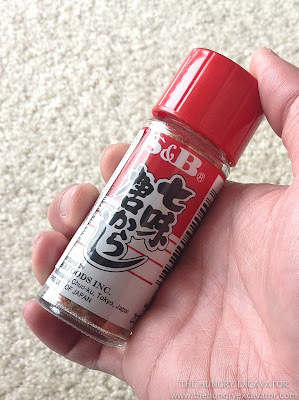 Besides that, I also recommend having a small bottle of the S&B Assorted Chilli Pepper Powder in your pantry for Japanese cooking. Such a great ingredient to have handy, love it. BIG thanks to Cooking With a Dog for sharing their recipes on Youtube. 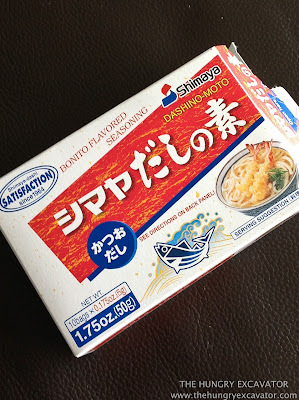 Definitely my go to source for great, authentic Japanese homecooking. Fail proof recipes every time! 1. Rinse each oyster thoroughly in the salted water. Pat them dry with a paper towel and set aside. Rinse and pat dry the oyster shells too for serving later. 2. Mix all the ingredients for the Japanese tartare sauce in a bowl and set aside. 3. For the batter, mix the egg, 4 tbsp plain flour and water in a bowl until well combined. 4. Coat each oyster lightly in remaining flour. 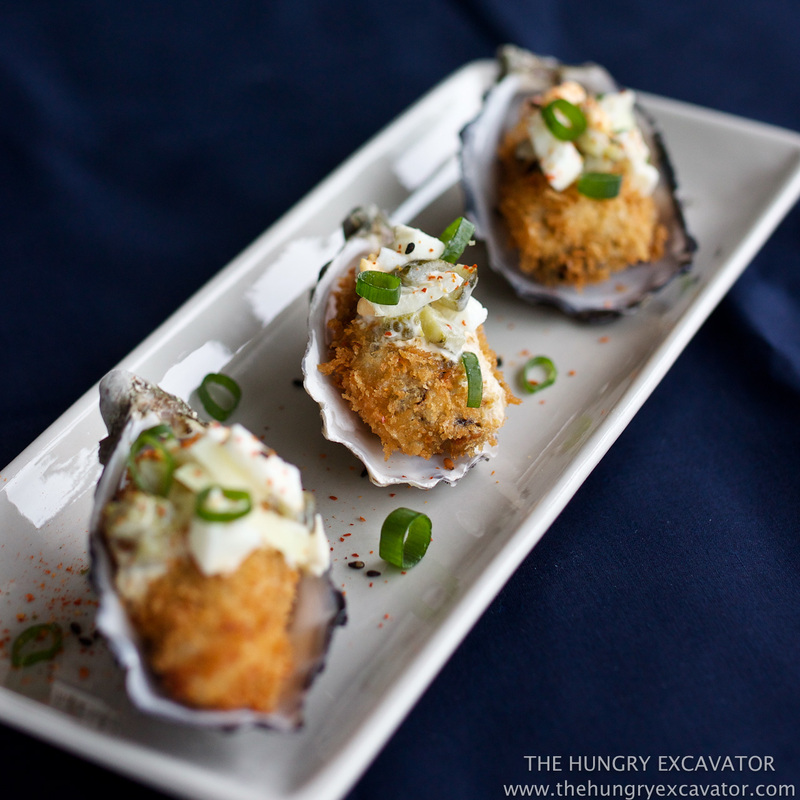 Cover the oysters in batter and coat thoroughly with panko breadcrumbs. 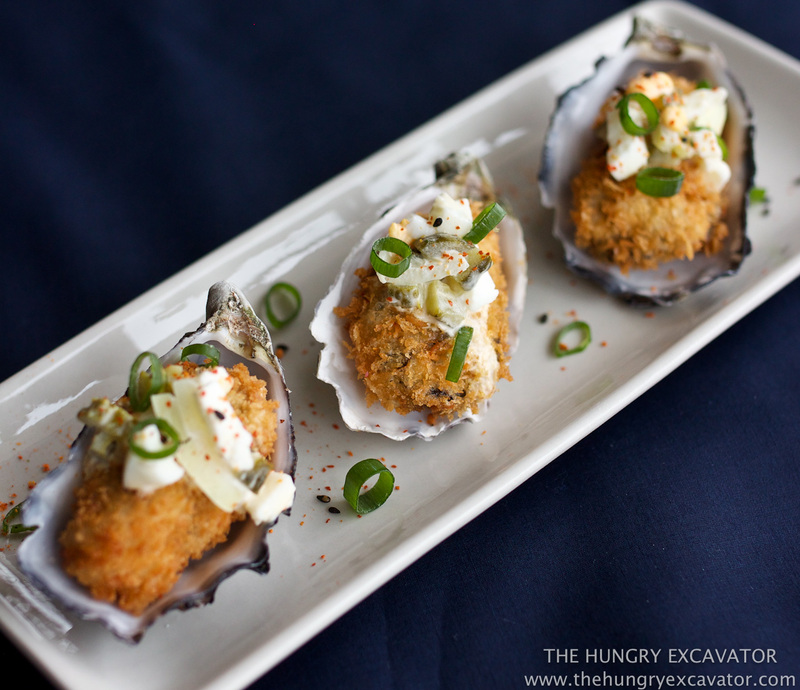 Place all the breaded oysters in the fridge for at least 20 minutes. 5. Heat up oil in a pot. Once very hot, remove the oysters from the fridge and fry them on both sides in oil until golden brown. Remove and allow to cook on wire rack. 6. 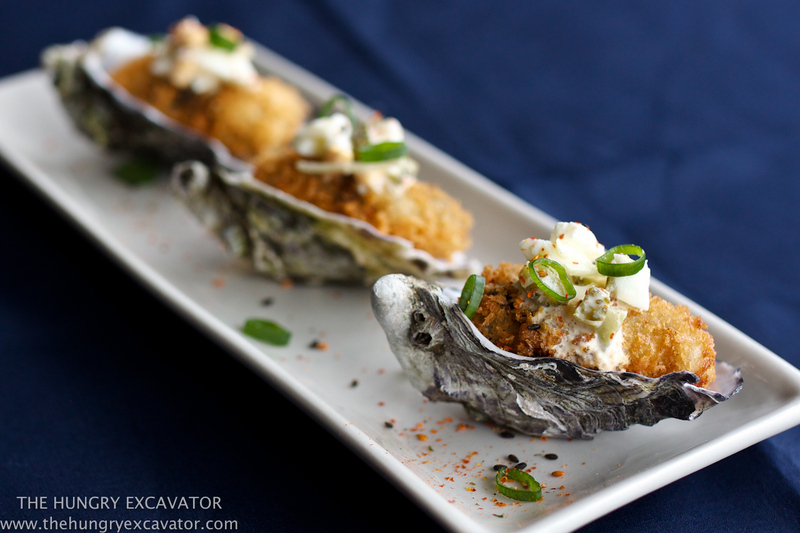 To serve, place each of the fried oysters in a shell. Top with small dollop of Japanese tartare sauce (or Kewpie Mayo). Garnish with spring onions and a dash of S&B Assorted Chilli Pepper. 1. For the filling, dice the chicken thigh to 1cm pieces. Mix in a bowl with a dash of sake and soy sauce. Allow to marinate for 10 minutes. 2. Heat up a non stick pan and sear the chicken pieces. Dish and set aside. 3. Halve the shrimps. 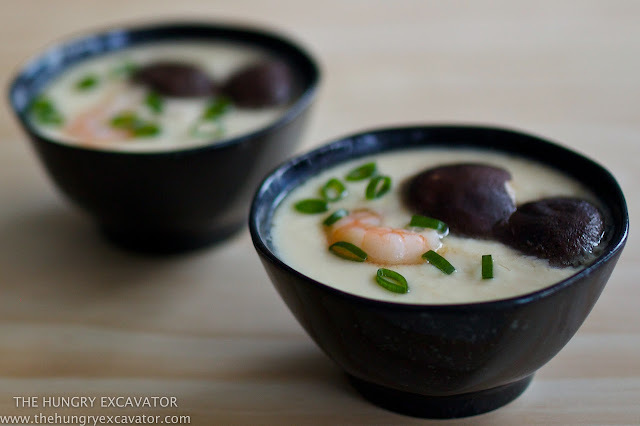 Mix shrimps and crab sticks in a bowl with a dash of sake and soy sauce, set aside. 4. For the custard, beat the eggs (but not too hard to prevent too much bubbles). Place the water and dashi stock in a bowl and microwave for 30 seconds. 5. 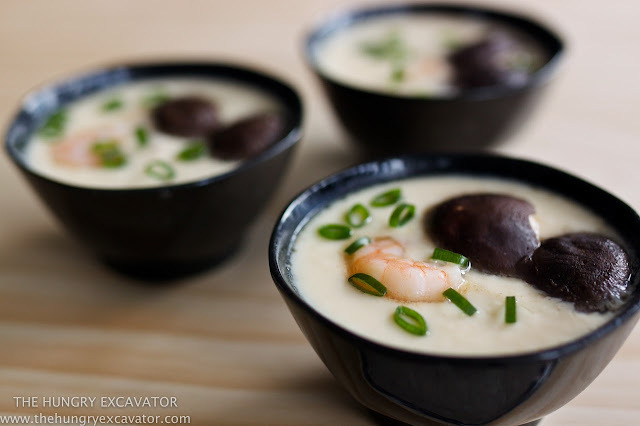 Mix the beaten eggs, dashi stock and remaining custard ingredients gently with a fork until well combined. 6. Distribute the chicken, shrimp, crab stick and mushroom fillings evenly between 6 small bowls. Pour custard mixture into each bowl. 7. Steam on lowest fire for approx. 12 minutes. Test by sticking chopsticks in the mixture. If soup comes out clear, it is done. Garnish with spring onions or coriander. 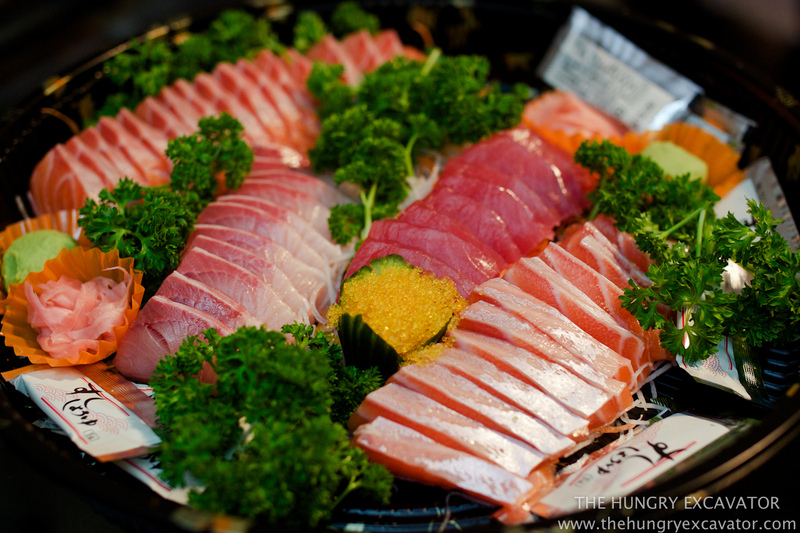 Finally, my friend also brought this AMAZING sashimi platter from Suzuran. It was so fresh, delicious and even fatty too. Amazing quality and price. Need to have this again!